Northeastern University has established a prestigious post-doctoral position named in Andrei's memory. Please spread the word. Help us celebrate the legacy of a truly remarkable teacher, mentor, and mathematician. Your gift to the Andrei Zelevinsky Research Instructor Fund honors his contributions to the mathematical community, while investing in great mathematicians of the future. 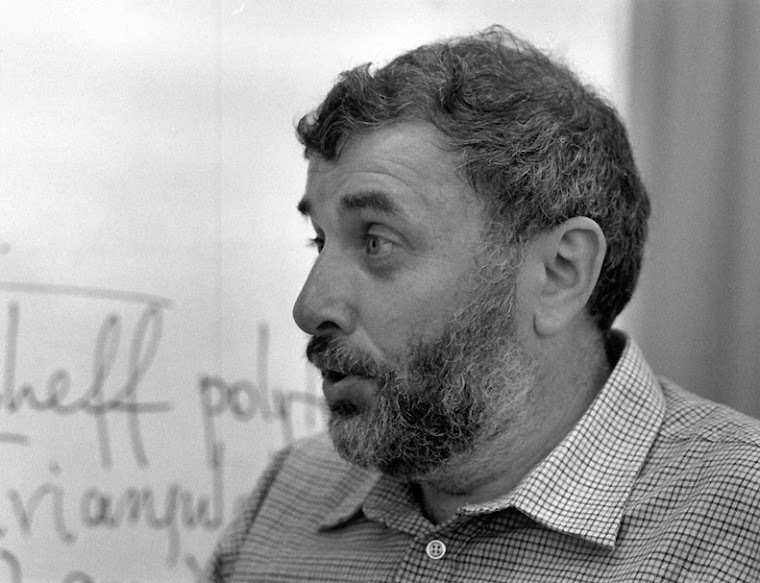 Winner of the Silver Medal of the International Mathematical Olympiad at age 16, Professor Andrei Zelevinsky went on to become a world-famous mathematician, a gifted teacher, and a dedicated mentor. He was especially renowned for the Bernstein-Zelevinsky classification of representations of p-adic groups, as well as for the discovery, with Sergey Fomin, of cluster algebras. During his 22-year career at Northeastern, Professor Zelevinsky’s impressive body of work resulted in an invitation to lecture at the International Congress of Mathematicians (Berlin, 1998), the Humboldt Research Award (2004), election as a fellow of the American Mathematical Society (2013), and a University Distinguished Professor award from Northeastern University (2013). His numerous contributions to mathematics included not only ground-breaking research but also a dedicated enthusiasm for teaching and mentoring future generations of students. He led weekend classes for high school students, taught undergraduates at all levels, and organized advanced seminars for graduate students. Through his passionate commitment to scholarship and learning he fostered the intellectual and personal growth of his students. The Mathematics Department at Northeastern University is proud to announce the creation of a prestigious post-doctoral position: the Andrei Zelevinsky Research Instructor. This position, named in Professor Zelevinsky’s memory, will serve to honor his tremendous contributions to the field of mathematics, by supporting promising young mathematics researchers at the start of their careers. With the generosity of a lead donor, members of the mathematics department, alumni and colleagues we have raised over $60,000 toward the goal of $100,000. In addition we have a pledge for $20,000 contingent upon raising at least $80,000 by December 2015. We invite you to support the Andrei Zelevinsky Research Instructor Fund to recognize his extraordinary legacy. If you have questions about this fund, please contact Lisa Pedulla, Development Officer, College of Science, at l.pedulla(at)neu(dot)edu or (617) 373-8392, or go to http://give.northeastern.edu/fund/166 to contribute online.